Are you looking for a perfect destination to organize a get together? Or want to go on a wine tour in New York City? If you are searching for wineries to get authentic wine tasting experiences, then why don’t you plan for a wine tasting get together in Finger Lakes, New York City. There is availability of plentiful wineries, several brands with large wine tasting rooms in the Finger Lakes area. Even, you will have to drive through the well-established wine trails to reach the wineries of the Finger Lakes. So you can begin your wine tour with following five wineries and get a chance to learn the wine making traditions of the Finger Lakes. These wineries will let you feel welcome on a lazy afternoon while enjoying a bottle of your new find in a stunning natural scenery of the lake. Located on the small hill in the eastern region of the Route 414, Damiani Cellars is well-crafted with splendid tasting room to allow you get the spectacular views of Seneca Lake. This is the one and only winery in the Finger Lakes; which has got a 90 point rating from Wine Spectator for a red wine so far (2010 Reserve Cabernet Sauvignon)! Here, you will find must-try wines like Syrah and Meritage. This winery organizes live music from Thursday to Saturday! This is a famous winery in the Finger Lakes; which probably holds the richest history. It’s a family owned vineyard and the most interesting fact is that the family has been working here for seven generations and will definitely tell the story of how the lake was frozen in ‘74’. Here, the winemaker Justin Boyette makes delicious wines like Terroir. The wine tasting room of Silerthread Vineyard is located on the slopes between the 414 wine trail and Seneca Lake. This winery is owned and operated by Paul and Shannon Brock. However, three of Silerthread’s Rieslings have obtained 90 points in Wine Spectator. If you will go on a visit to this vineyard on lunch time, you can drive to Dano’s Heuriger on Seneca; which us a Viennese style lakeside restaurant and you can sit outside and taste a good fashioned Wiener Schnitzel. This winery has a comfy wine tasting room; but King’s Garden is always busy. However, you will always get an opportunity to interact with the winemaker and owner, Mike Oleksyn. Usually, they make red wines with the rich, unique aromas. If you want to taste the most popular, vintage variation in this wine-growing region, then try out 2009 and 2010 Cabernet Sauvignon; both are excellent wines. The tag line of Shalestone Vineyards is that ‘Red is all we do’. It’s an excellent wine region, which is traditionally known for its white wines. The windows of the wine-tasting rooms can provide splendid views of Seneca Lake. Winemaker Rob Thomas strives to make vintage wines. Well, you will find the funny written notes; when you will sip. US Bargain Limo is a well-established limo company providing picture perfect limousines and party buses of all kinds to cater each and every need of the clients. Our party buses are extremely luxurious and elegant enough to provide a safe, comforting as well a relaxing transportation. Enjoy a wine tasting get together with New York City party bus from US Bargain Limo. For further updates and notifications, stay connected with Facebook, Twitter and Google+! With prom party season coming to an end this year, teens and parents may have regretted making a wrong choice of their limo party bus rental in and around NJ and NYC. Probably, they were not aware of how to choose a prom limo company? Some of them had even thought of the cheapest one to be the best. But they may have faced safety and service related problems on their prom night. All of them would have avoided the queries and concerns that commonly arise during Prom season every year. Here are given 3 easy tips to make sure that you enjoy a safe, smart and stylish prom party ride in the coming season. Always Confirm the Rental Model – You spend a lot of time bargaining with NJ or NYC prom Limo Company but it does not give you any details about your rental model more often. So, how can you be sure that you have booked a car that will really turn up? If any other old model limo comes to pick you up and it would be too late to take any action, then how much embarrassed will you be? Don’t take the chance rather confirm the prom limousine rental vehicle initially. You can personally visit the limo transfer company and see the models available for your prom transfer. And, you can ask for a written contract showing the rented model type and price. 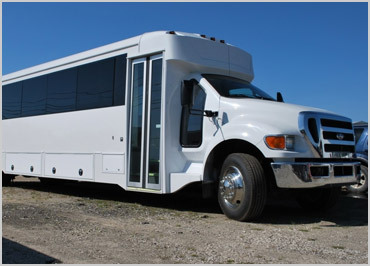 2 Know the Total Payment – The prom night has ended successfully and your party ride was great but then the party bus rental company has handed over a bill that is beyond your imagination. None of your friends are ready to pay more cash, so how could you manage the situation. However, you need to ask about your total payment from your prom transfer company including gratuity and extra charges. It would save you from getting a shocking surprise. 3. Is your Prom Party Bus Company Licensed and Insured? – You are able to find the last NJ & NYC prom limo rental with great difficulty for the packed Saturday evening of your prom month and all of your friends have got into it. Everyone is happy, the photos session is over, and all of you are about to start for the prom. Everything is fine until the police arrive to pull you out, and stop the ride. But how a great mistake you have done by hiring an unlicensed limo or party bus rental for your prom night? Would it be safe for you to drive around with an unlicensed driver? When a limo company is registered, it indicates that their fleet is well maintained and the chauffeurs are professionally trained and drug checked. So, ask them for documents related to certification and insurance policy. If you are not getting them, you can opt for other legally permitted and safe limo rental company for riding on your prom evening. Checkout US Bargain Limo for great and safe Prom Limo NJ & NYC rental experience. We are a certified company available to create a memorable prom night possible in your lifetime.